The Cygnett ChargeUp Pro 10k features USB-C connectivity - the latest standard in charging your digital devices. Featuring a 18W output, you can now take full advantage of increased charging speed for all the newest USB-C smartphones and tablets. Including Qualcomm (QC 3.0) technology which allows up to 75% faster charging than a standard 5W USB output. The 10,000mAh capacity gives you the the ability to charge your smartphone up to 5 times, and up to 1 full charge on a tablet. • The ChargeUp Pro 10k also includes a digital display so you always know exactly how much power you have left until you need to recharge. When it is time to replenish your Powerbank, you can take advantage of the 3Amp USB-C input and be charged up quicker than ever before. 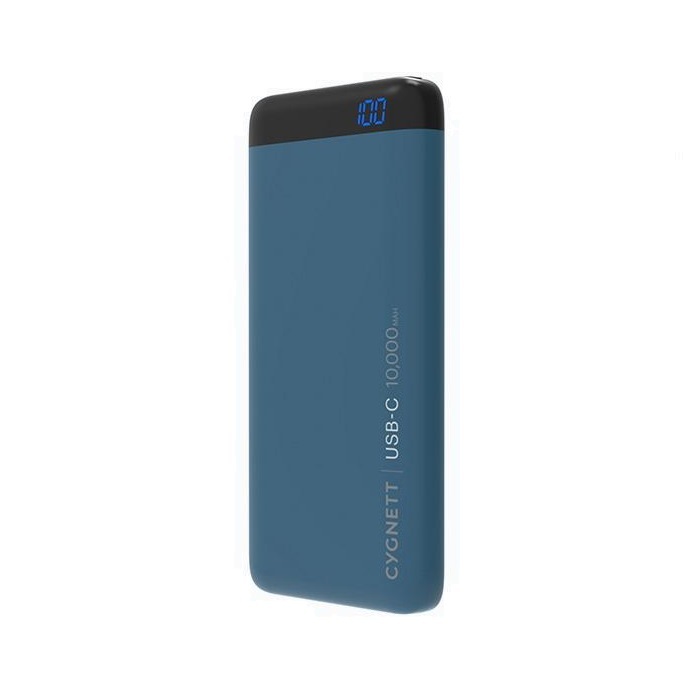 • Strong and sleek, the ChargeUp Pro 10K portable charger is ultra-convenient making it the perfect addition to every backpack, briefcase or suitcase. With the added convenience of a digital display and dual USB ports - 1x USB-C and 1 x USB-A allowing you to charge two devices simultaneously. 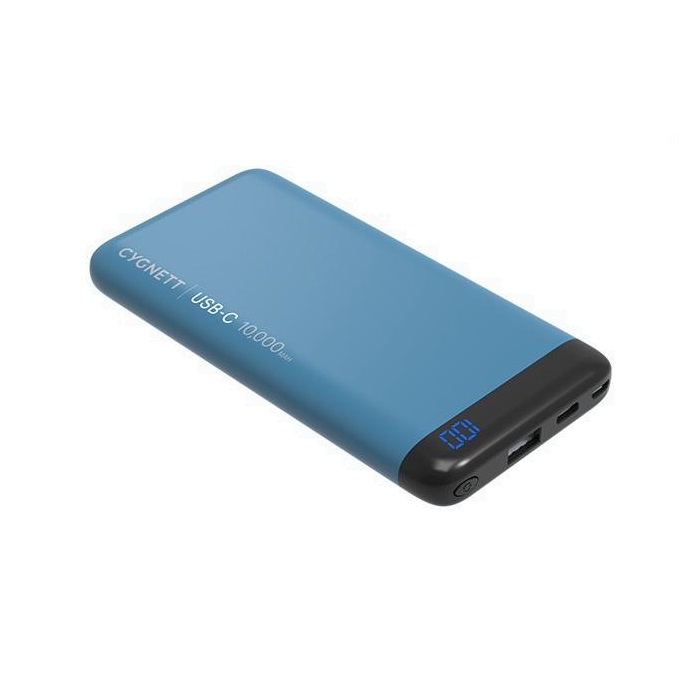 The ChargeUp Pro 10K also features safety surge protection for added peace of mind.